Is MySurvey A Scam Or Legit Paid Survey Website? Today I’m taking a quick look at another survey panel. (Note – MySurvey has now joined with LifePoints...). I have checked out hundreds of survey related sites online – but so far this one had slipped through the net. But… Is MySurvey A Scam? Or Legit Paid Survey Website? 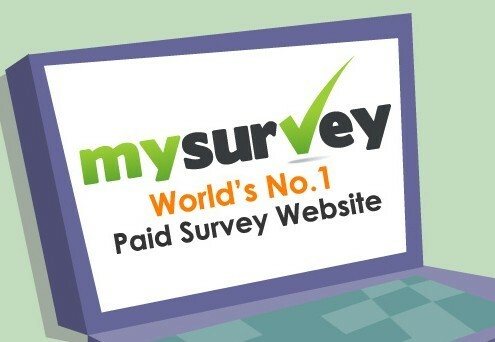 Can you really make money for free with MySurvey? Will they pay you? Or is this just another paid survey scam? I signed up myself and this is what I made of it – I also took a look at the feedback online from others. Company: MySurvey, a paid online survey panel from light speed research, you can sign up in the US here.Or the UK here. How Much Does It Cost: Free to join. Overall Rating: Legit, but it has a fair amount of negative feedback online, (although, this is very common with survey sites). In reality, you’re much more likely to make money from promoting MySurvey than actually doing the surveys themselves. There are some big sites online that promote MySurvey – but just because you see a positive review online, it doesn’t mean you should trust it automatically. In particular, some websites reviewing survey sites are being rewarded well for their positive reviews. Also, some survey sites that offer bigger rewards to potential affiliates and this will make many affiliates tempted to recommend them, even when they don’t think they’re very good! However, the good thing about survey panels is that, they are free to join. Consequently, you are free to sign up and see if you like it yourself, without risking anything. MySurvey has been live since 2001, which makes it one of the oldest survey panels on the web today! This is a pretty impressive to have survived this long- with so many survey sites popping up online all the time. Looking for paid surveys? Try These 10 Options! You don’t have to do much to sign up, you can sign up quickly via connecting your Facebook or Twitter account. Or else, you can just go the standard route, with your email address and details. You will also have to confirm your email address, by clicking on their confirmation email. As is the case with a majority of paid survey sites, you then need to complete a sequence of profiling surveys, (which are unpaid). These are meant to give you a better chance of qualifying for surveys, but I personally haven’t found that myself. I seem to struggle to qualify no matter how many profiling questions I’ve been asked! Once you’ve completed all of this, you will be able to receive surveys. Unfortunately, many people do struggle to actually get by the first stage in a survey. That is because, every survey you receive will involve a screening process, where they figure out if you’re part of the demographic they are looking for. This involves being asked various questions to determine eligiblity. If it turns out you are not a good fit, you’ll be thrown off the survey and won’t receive anything for your time. This is the biggest frustration people experience with ANY paid survey website. For the most part, you will be disqualified from surveys that you attempt. This appears to happen a majority of the time. MySurvey have given millions of dollars away in rewards and have a large variety of rewards available. These include: Various gift cards, paypal payments and e-certificates. In the UK there are other gift cards available – such as Amazon uk, M&S and Nectar. But how much do you need to get to these rewards? Well, you can hope to get perhaps 50 points per survey. In the USA, you will need 1000 to cash-out a $10 giftcard. If you’re lucky, you may complete a survey in 20 minutes and you’d need to successfully complete 20 of those to make it to the $10. That may seem like a lot, but actually…. I have seen much worse! However, it’s likely that you will have to attempt to answer many more surveys than 20, because it’s so difficult to qualify for surveys. What Do Other People Say About MySurvey? Something I’ve noticed is that people complain about receiving an error message, after spending a long time answering a survey. As there is an error, they are unable to complete the survey and won’t get any points. I haven’t seen this happen with other paid surveys and it’s such a prevalent complaint, that it’s a wonder why MySurvey have not managed to tackle this technical fault. – Suddenly being unable to login and their accounts closed. – No answer to enquiries. – Not receiving points for surveys completed. – Being unable to qualify for surveys. I was quite surprised by the number of complaints against this site that were similar in nature to each other. Survey sites that have been running a while do tend to have similar complaints to this though. Customer service issues in particular is a common one; as well as being unable to qualify for surveys. Fed Up Of Never Qualifying? Try Prolific. – Pay via various gift cards or paypal. – You can sign up from the North America/Europe/Oceania. – You will get less surveys available, depending where you live. – Disqualification from surveys is a big issue, (with any paid surveys) and no difference here. You will have a tough time trying to qualify. – You won’t make much. – You will struggle to meet the payout threshold. – Many complaints saying their accounts closed and unable to log back in again. I wouldn’t say MySurvey a scam. Many people appear to still being paid for them, they have been around for a very long time and they still have plenty of happy customers. However, there are also many complaints of a similar nature against the website. I see no legitimate reason why they wouldn’t have sorted out this technical fault with their site when they can see the vast number of complaints regarding the issue. Let me know if you feel this issue has been resolved! Related: Top Extra Income Sites Worth Joining. You’re never going to make much with these kind of websites anyway – that’s why I prefer sites that have other ways to earn, like cashback or offers. The main rewards site that I still use is Swagbucks. But it’s only going to make you a bit of pocket money here and there! If you’d like to make more online, that’s MORE than possible, it’s a huge reality for many people. Unfortunately, many people don’t achieve it because it does take real time and effort. One way that I make money right now, is from affiliate marketing, (which I touched on earlier). This is where you can recommend, promote, or even simply mention other products or services, (with your own personal affiliate link) and earn a commission for sales, or sometimes leads. Almost any product or service you can think of has an affiliate program attached. If you’re not sure what affiliate marketing is, you can start learning for free here. Before you start money in that way however, the first step is having a blog or website… I created an in depth guide for that here. If you have any questions, or any direct experience with MySurvey myself – then please leave a comment below.